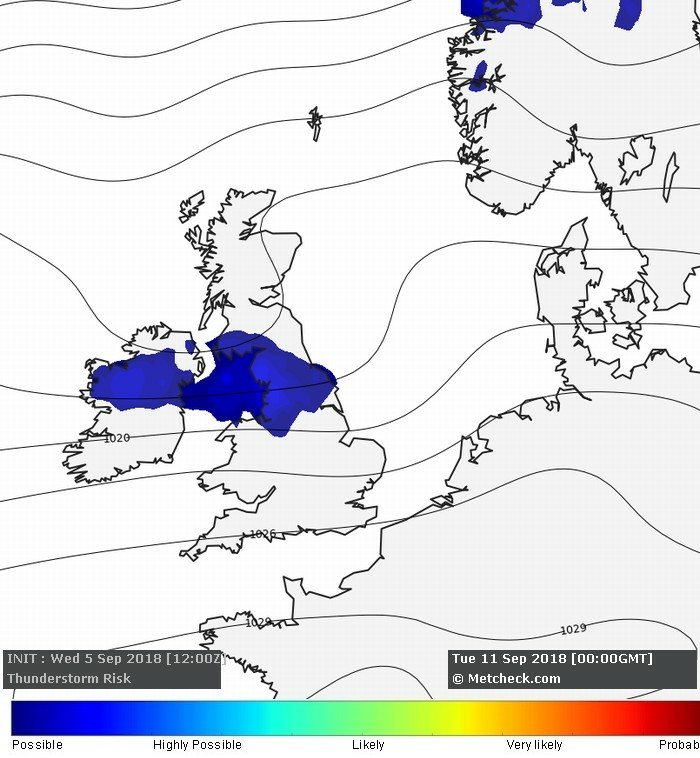 Metcheck.com - Storm Forecast Discussions - Weekly Storm Forecast - From 6 September 2018 - Expert Meteorologists Analyse Storm and Convective Forecasts For Countries Around The World. 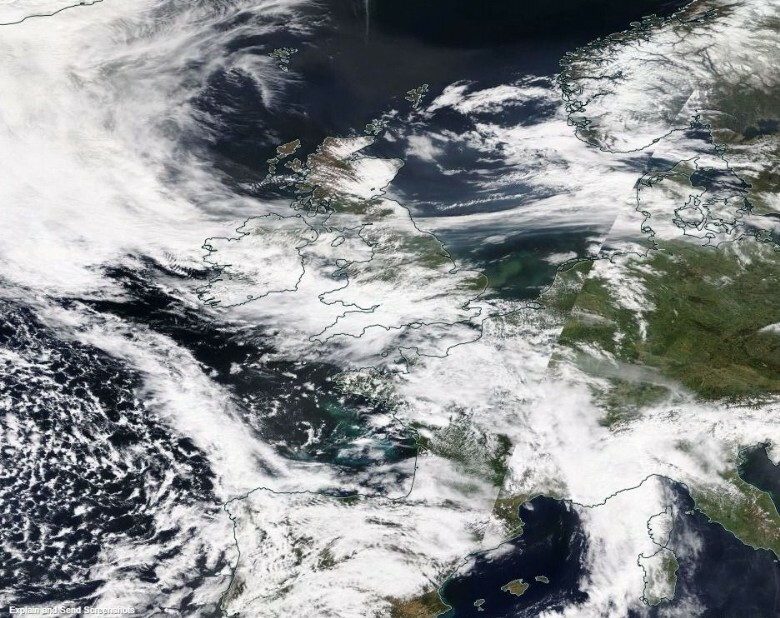 A risk of scattered thunderstorms across parts of Central Scotland today as a trough circulating around the low pressure system in the North Sea engages with moist boundary layer air and orographic lifting. The same process for parts of Central and East Wales to some extent. 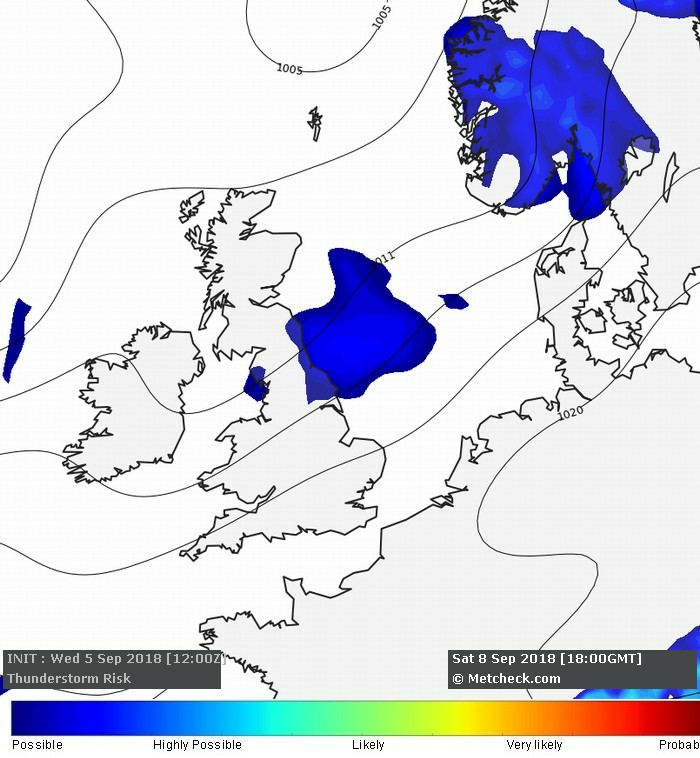 Risk of scattered thunderstorms for parts of Northeast England on Saturday afternoon as a low level trough heads in from the Southwest. Most of the forcing from this system remains on the Southeast flank and it's possible the timing of this means that daytime heating will be too late to engage with the low level lift mechanism. 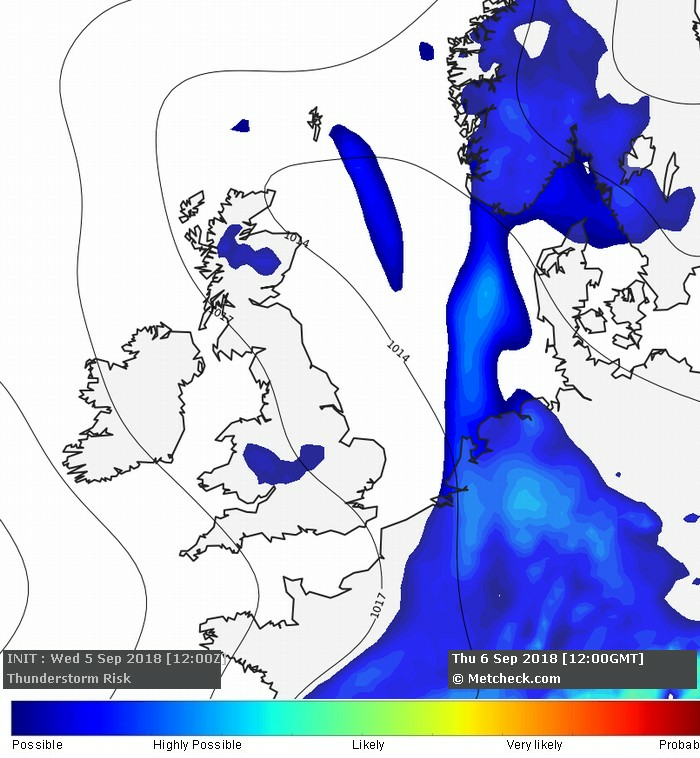 The GFS continues to hint at well developed CAPE across parts of Northern Ireland and Northern England on Monday night and into Tuesday. 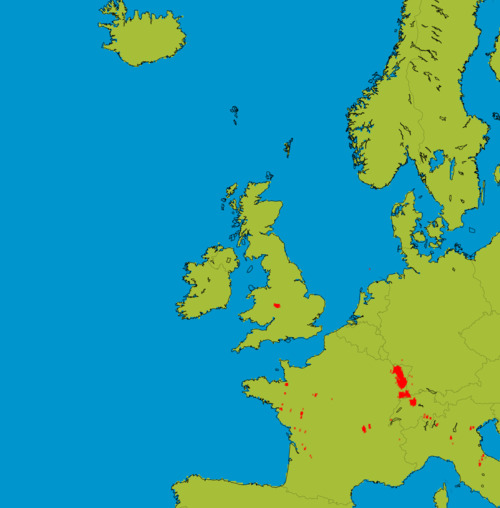 Any thunderstorms are likely to be embedded within a strong upper zonal flow with orographic triggers for parts of the West Pennines. Elsewhere and thunderstorms are not expected across the UK and Ireland over the next seven days.